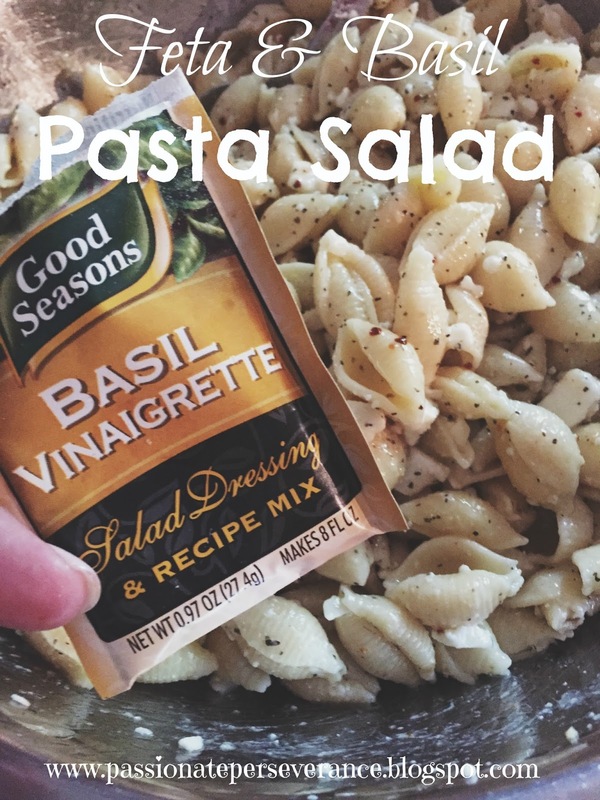 This is the easiest pasta salad ever. It comes together in about 20 minutes. It is seriously tasty as well. I have made this a few times now and it’s always a hit. * Make pasta according to directions on the box. Drain and cool. Place in large bowl. * Make Good Seasons Basil Vinaigrette Salad Dressing according to the directions on the envelope. 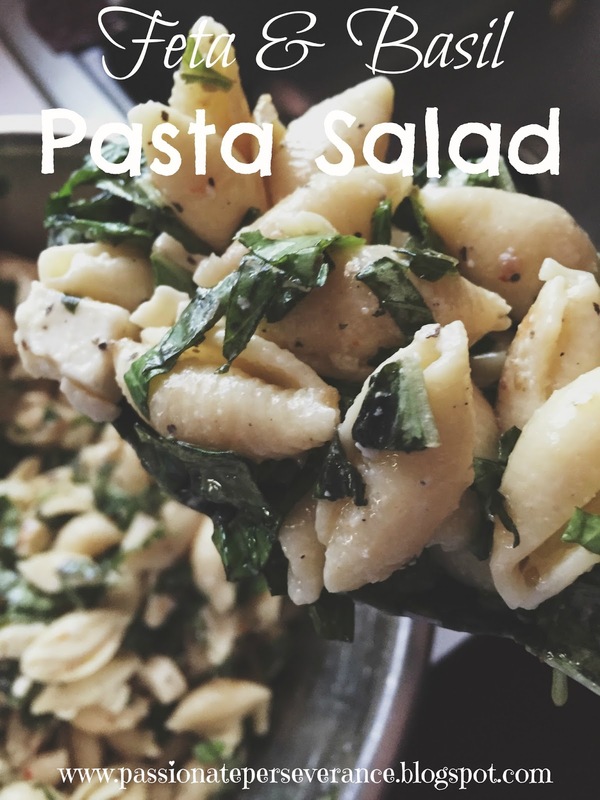 * Add Feta, basil and salad dressing to the pasta. Stir to combine and serve.